West Coast Short Tracker: The Derek Thorn Problem - Talented Racers Who Never Get Their "Shot"
The Derek Thorn Problem - Talented Racers Who Never Get Their "Shot"
Over the past 15 years, there is nobody in the west coast pavement late model racing scene who can they they have won as much or as often as Derek Thorn. The 32 (soon to be 33) year old driver from Lakeport, California is one of the best late model short track racers not only on the west coast but across the country. When the top super late model racers in the United States are listed, Thorn's name is among the first listed among the likes of superstars like Bubba Pollard, Ty Majeski, Donnie Wilson and others. Thorn moved from IMCA/Grand American modified cars to racing touring late models in 2005 in the North State Challenge Series. Thorn won five times in two seasons in what was a very competitive series. In 2007, he raced a full season in the ASA Late Model Series in the Midwest and began to show his talent to a wider audience. Thorn won once that season taking a hard fought 200-lap victory at the Nashville Fairgrounds Speedway and finishing fifth in the standings overall after racing a schedule featuring tracks he had never raced at before, much less seen. 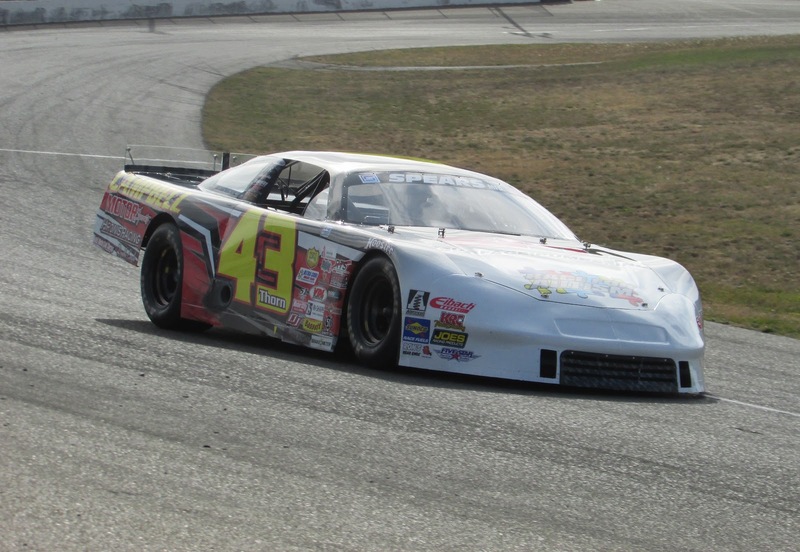 When NASCAR shuttered its late model touring series in the mid-00s, the Spears SRL Southwest Tour Series took over the role as the top late model tour in the region. In 78 starts, Thorn has won 36 times or in other words almost every other race he has started in the prestigious series. He has won four SRL titles (202, 2014, 2016, 2017) and the worst he's finished in the standings while racing the series full time is third twice in 2010 and 2011. Additionally, Thorn has started from the pole in three of the first four runnings of the high-dollar Winter Showdown non-points event while winning 2017 race. Later in 2017, Thorn was able to beat up and coming racer Jeremy Doss in a thrilling duel for the victory in the Senator's Cup 150 at the Las Vegas Bullring. Aside from his accomplishments behind the wheel of a late model, Thorn has also established himself in NASCAR circles racing in both the K&N West and East series. He made six starts in the East Series in 2006 registering finishes of fifth at Nashville and seventh at Mansfield Motor Speedway. In 2012, Thorn joined Bruncati Motorsports for a full-time West schedule taking two wins and finishing third in the standings. The following season, Thorn won three times en route to winning the series championship. Just last season, Thorn returned to drive for Bruncati Motorsports. Although he only won two times, Thorn took another NASCAR West championship while also scoring top 10 finishes in all 14 races. All the numbers are listed. All of the accomplishments are there yet for whatever reason Derek Thorn has never had the chance to race in the upper echelons of NASCAR. His lone chance came in 2013 when he attempted to qualify for a NASCAR Xfinity Series race at Richmond International Raceway driving for the underfunded Jimmy Means Racing team. 30 years ago, a early 30s driver like Thorn would still be a prime candidate for a top ride in NASCAR's Busch or Winston Cup Series. Unfortunately, drivers older than 25 rarely get a chance to show their ability in NASCAR's truck series anymore and without major corporate backing a talented driver like Thorn will never get a true chance in modern day NASCAR. Thorn's Georgia counterpart Bubba Pollard is very much in the same boat. Pollard has nearly 100 big-time late model victories since 2004. 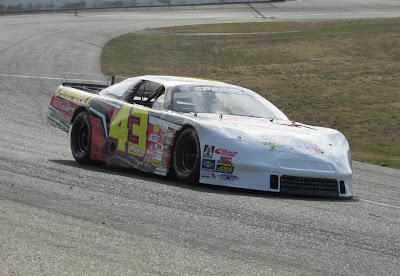 Pollard is a year younger than Thorn, has never raced in a NASCAR touring series yet has established himself as one of the best late model racers in the country, arguably the best. Of course it isn't the first time a talented and highly-accomplished short track racer didn't get a fair shake. Mike Chase of Redding, California won numerous races in the west through the 70s and 80s including championships in NASCAR's Winston West and Southwest Tour series. While Chase did make 13 Winston Cup starts, the majority of those were in combination Winston Cup/Winston West races. The three "stand alone" races he started for A.J. Foyt's team in 1991 were among the last of that team's original phase. By 1991, Foyt was not focused on his NASCAR efforts. While drivers like Thorn and Pollard will likely never get on the "big stage" of NASCAR's top three series, their misfortune is the gain of the late model short track racing community. They are two drivers who late model fans can consider as being "theirs". They are blue collar racers who are among the best that fans can get an up close and personal view of at their local track, something they wouldn't otherwise get if either competed in Cup. Certainly they won't be the last drivers who won't get their chance but they are racers that fans can respect and admire. Those are the kind of people that make late model racing on the local and touring series levels so great.